For a smart casual outfit, reach for a Lardini soft tailored coat and black chinos — these two pieces fit really well together. Up the cool of your look by finishing off with dark brown leather derby shoes. 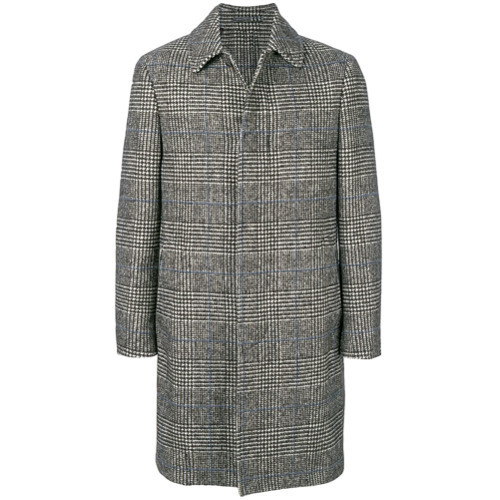 Make a Lardini soft tailored coat from farfetch.com and a grey wool suit your outfit choice for a classic and refined silhouette. Go for a pair of dark green leather double monks to have some fun with things. 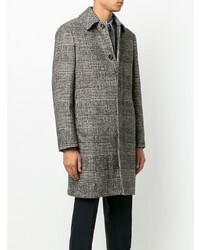 Marry a Lardini soft tailored coat from farfetch.com with grey dress pants for a sharp, fashionable look. White athletic shoes will deliver more playfulness to your look. 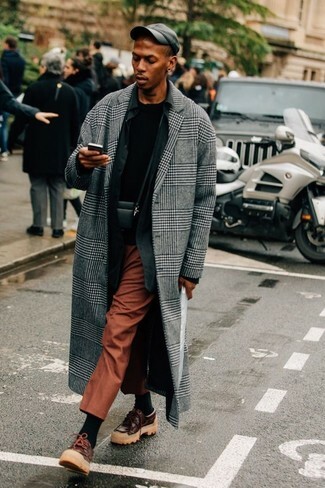 For a nothing less than incredibly stylish look, consider pairing a Lardini soft tailored coat from farfetch.com with grey wool dress pants. As you can see, being a dapper dude doesn't require that much effort. 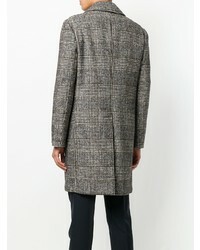 Just pair a Lardini soft tailored coat from farfetch.com with a black turtleneck and you'll look awesome. 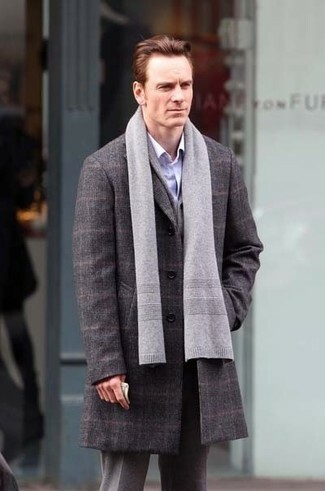 Opt for a grey plaid overcoat and tobacco dress pants for a sharp, fashionable look. For something more on the daring side to complete this ensemble, opt for a pair of dark brown leather boat shoes. Go for a Lardini soft tailored coat and a white suit for a sharp classy look. 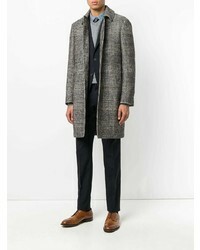 Pair a Lardini soft tailored coat from farfetch.com with a brown three piece suit like a true gent. 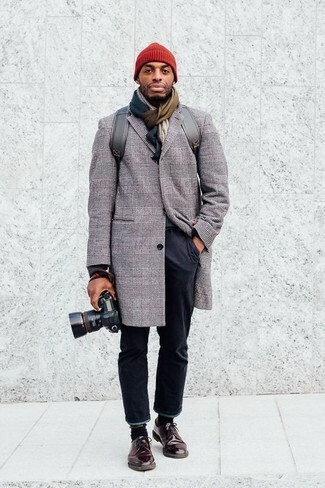 This combination of a grey plaid overcoat and black overalls is simple, on-trend and so easy to replicate. 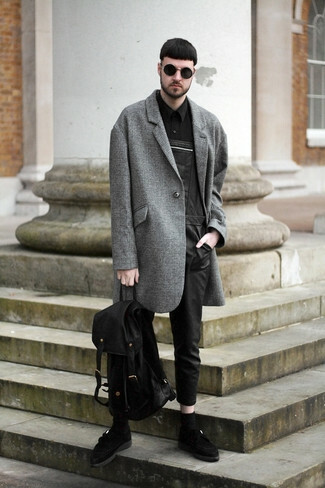 Channel your inner Ryan Gosling and go for a pair of black suede double monks to class up your outfit.